What more could be said about Bailey. 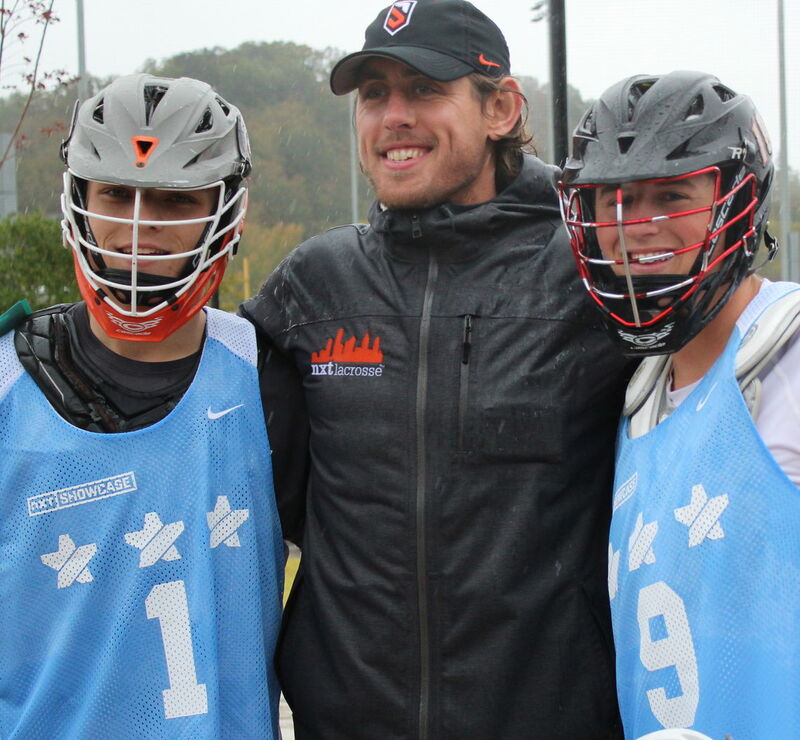 He was the MVP last year at the 2016 Southern Showcase and also made the All-Star team at the 2016 NXT Philly Showcase. What I love about him is his effort with riding, setting his teammates up for success, and his use of a dangerous hitch-step to get closer to the goal. The game seems to come very easy to him, whether he’s dodging at the lefty wing, or setting up a teammate with a simple pass. If you leave him along with his feet set, the goalie might as well turn and rake the ball out of the back of the net. Bellarmine should have a player for years to come. Despite tough rain conditions, Reid could not be stopped in the open field. When he had the ball in his stick in odd man situations, Reid was aggressive and took the ball to the rack. I loved how hard he played between the lines to put defenders consistently on their heels throughout the day. If he works on his 6v6 offense and develops a killer attitude, watch out! If there was one player who was ready to make an impression at the showcase, it was Cerere. From the first whistle he was all over the field, picking up ground balls, and pushing the ball in transition. He is the type of player a face off player loves on his wings for his ability to get ground balls and play hard between the lines. Even though he is not the biggest guy on the field, he has a huge heart which allows him to pester his opponents and play a tough, skilled, and physical brand of lacrosse. Not many times do you have a tall goalie who can make routine saves easy, but Hamilton did just that. His stature reminds me of former Showcase participant Charlie Voytek (2018, Etowah Ga., who made multiple Showcase All-Star games). What I liked most about Hamilton’s game was his outlet passes. There were some dimes which were thrown by Hamilton and considering the rain, it was an impressive feat to throw anything with accuracy more than 10 yards. If Korbin starts to take more of a presence in net, he could easily become one of the best goalies in the Sunshine State. I’ve spent a lot of time down South with our Showcase events and I love every one of them. The growth of the game and kindness of the people are evident. I saw three of my favorite players this past weekend at our Showcase: John DiVirgilio (Lambert, Navy) played Sunday at the Invitational and Bailey Williams and Nick Jones played Saturday. Bailey is already committed but played in the Showcase. I hope more kids take a page out of his book because he just wanted to play lacrosse, and when there was an opportunity in his backyard, he jumped on it. Jonesy competed at a high level just days after hiking over 50 miles in Jackson Hole Wyoming. I love watching great lacrosse, but getting to know great young men with bright futures makes it all worth it. There was a strong contingent of players who hailed from the Sunshine State this past weekend. Despite the below-average temperatures and consistent rain, many players from the X-Factor club were a great representation of Florida. I look forward to seeing how they progress over the year!